10 Packs Elios Inoxidable. 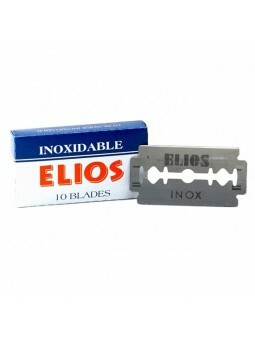 100 stainless double edge blades. 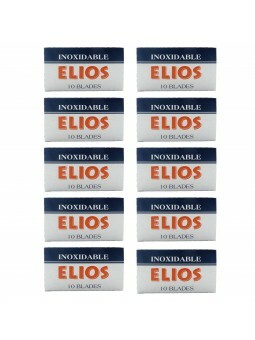 10 Packs of 10 double edge blade individually wrapped. Save 25% vs. individual purchase of 10 blades pack. 20 Packs Elios Inoxidable. 200 stainless double edge blades. 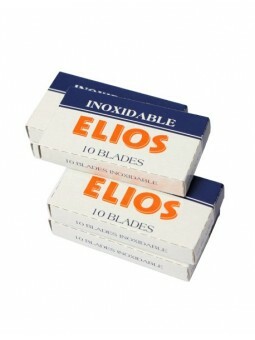 20 Packs of 10 double edge blade individually wrapped. Save 35% vs. individual purchase of 10 blades pack. Compatibles con Merkur, Vie-long y Taylor Of Old bond Street.